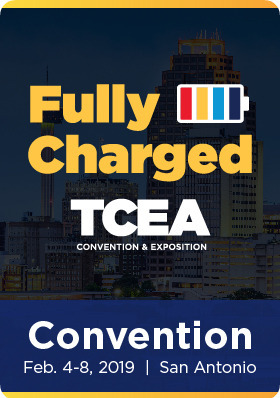 FOR 38 years, the Texas Computer Education Association (TCEA) has lived and held court at the Austin Convention Center. In 2019 they branched out for the first time and went to the Henry B. Gonzalez Convention Center in San Antonio. It was a learning experience, and one Smart City will get to repeat when TCEA heads to Dallas in 2021. The team went into the event with next to no information from Austin and had no idea the number or complexity of the exhibitors coming in. Smart City provided a facility-wide wireless system, with interactive sessions in several rooms, and live workstation labs which peaked at nearly 5,000 concurrent users connected on Wi-Fi. The team installed a custom Apple caching server with a 10Gb uplink and tied the wireless buyout to it–saving us several terabytes of throughput, and a lot of outbound bandwidth. The server was Apple directly as a courtesy to TCEA. More than 100 exhibitor booths required services. 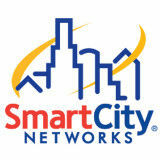 In total, the Smart City team installed 94 cabled internet drops and ten wireless hotspots in addition to the buyout. The biggest lesson reiterated in this event is, you can never prepare too much. The Smart City team managed to get all this installed with only three technicians and two managers delivering services. Thanks to proper planning and a lot of pre-work, the team was able to hit the floor running, and get this event installed ahead of the carpet crews, and stay on top of new orders and trouble tickets. In addition to all of this, the team got to try out the new Connected Moblie Experience (CMX) system. It was still in the early stages, but it shows to have some amazing features! The CMX system allows Smart City to track the effectiveness of guest wireless infrastructure by measuring Wi-Fi analytics and adoption to find better solutions for the future. Because as we know customers define quality, and in the case of TCEA, the bar was set high.